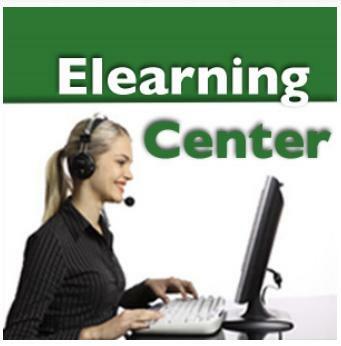 Lorna Costantini (Elearning Center) and I are embarking on another training venture. We are hosting a series of workshops on blogging for beginners and classroom blogging for beginners. For those new to blogging, what is your best tip for blogging? Creating and maintaining a blog can be daunting to new users so what would be your best tip for a new blogger? Be sure to share your blog URL when you leave your comment as I want to share examples in our sessions. Thanks! Recently I read a fantastic blog post from one of my great online buddies, Donelle O’Brien – author of her Lifelong Learner 2.0, that I met through my affiliation with the Classroom 2.0 LIVE! show that I co-host. She wrote about this innovative and unique site that is historically based but with a twist! I know it appears to be a long post but it is well worth the read and is rather humorous – I don’t think you will be disappointed! The two site authors, Gerald Aungst and Lauren Zucker have done an outstanding with this website. I particularly enjoyed this except about John Cabot. My favorite excepts come from the synopsis of Christopher Columbus. He named the native people of the island Indians. The Indians were excited by the newcomers and their gadgets. They especially enjoyed using their cell phones and desktop computers. As you can see the humor element is rampant throughout each of the ‘biographies’ of the explorers. Once students realize that the gadgets of today, television shows and other items evident of today’s society are present in the paragraph they will start to evaluate the information they find on the Internet and begin to ask themselves if the information presented is accurate. There are many great learning opportunities to teach students to be wary of information found on the Internet and to make certain that when researching topics, websites and sources are credible and authentic. The Explorers website contains templates for conducting the treasure hunts on the explorers, how to evaluate websites, links to factual references about explorers, and the references the authors used to develop the content and website material. The site also lists web articles such as this one in at PhillyBurbs.com that mention their website and it use in classrooms. Thanks Donelle for sharing this website! I had heard about the website but had not explored the Explorers website or the interesting ‘biographical’ account of the explorers until Donelle described it in her blog post. I was so impressed, and thoroughly entertained, that I sent a request to the website creators and invited them to be our special guest on our show. They accepted and will be joining us on Classroom 2.0 LIVE! on August 8 at 12pm Eastern. Mark your calendar and join us for another exceptional hour of learning, laughing and leading the way into classrooms everywhere. I just finished reading a post by Miguel Guhlin entitled, “Fervent Prayer – Read Me Please“. I can definitely relate as I work hard to start and promote this blog although Miguel has blogged for years. For a short while I worked in his department in his school district and I have great respect for him as my mentor but his superb writings. Shortly before reading Miguel’s post, I was reading a post from Wes Fryer’s blog, he mentioned a post from Jon Becker’s new blog about a similar notion. This appears to be a common notion at present time and I am heartened that I am experiencing similar feelings from the ‘heavy hitters’ in educational blogging. Just as in start up venture, whether it be writing or a new business, an investment of time and reflection is necessary. The creative process can be daunting and taxing and I felt comforted that even the ‘superbloggers’ feel a twinge of uncertainty at times. Mentioned in these bloggers’ posts throughout their respective blogs was the importance of the reflection process for growth. While the topics of the posts in the superbloggers of ed tech’s blogs seem to come and flow naturally, I struggle with what to write and will anyone care what I have to say or read what I have shared. It is difficult being vulnerable, yet striving to be a prolific writer at the same time, in my humble opinion. But the mention in Miguel’s post about the importance of the reflection process is to affect change and growth struck a chord with me. When I was working to achieve national board certification, critical questions requiring reflection on the learning process were asked throughout the entries I had to submit. Although I had already taught for 15 years or so, initially I didn’t see how important the reflection process was or how valuable and significant to professional growth that the reflection process played. After achieving national board certification, it has become ingrained that a reflection upon the lesson I just delivered to ensuring success for my students – whether they be K – 12 students or adult students. So I thank Jon Becker, Wes Fryer, and Miguel Guhlin and all of the other ed tech bloggers for making themselves vulnerable, taking a risk and sharing their own personal reflections with the rest of the world. I was recently invited to join the community at Diigo. Do you delight in using del.ic.ious (I think that is where the dots go) to share bookmarks and tag websites? Then you will love Diigo. Diigo is an evolving community site where people of like interests can collaborate and share ideas, websites, and converse with educators around the world. You can download the toolbar where you can easily share bookmarks, highlight text and share that with the community and a host of other tools that I haven’t even begun to explore yet. Join the community at Diigo and add me to your Friends. I want to expand and enrich my bookmarks and ed tech knowledge by checking out what you think is important, interesting and relevant. Join us!